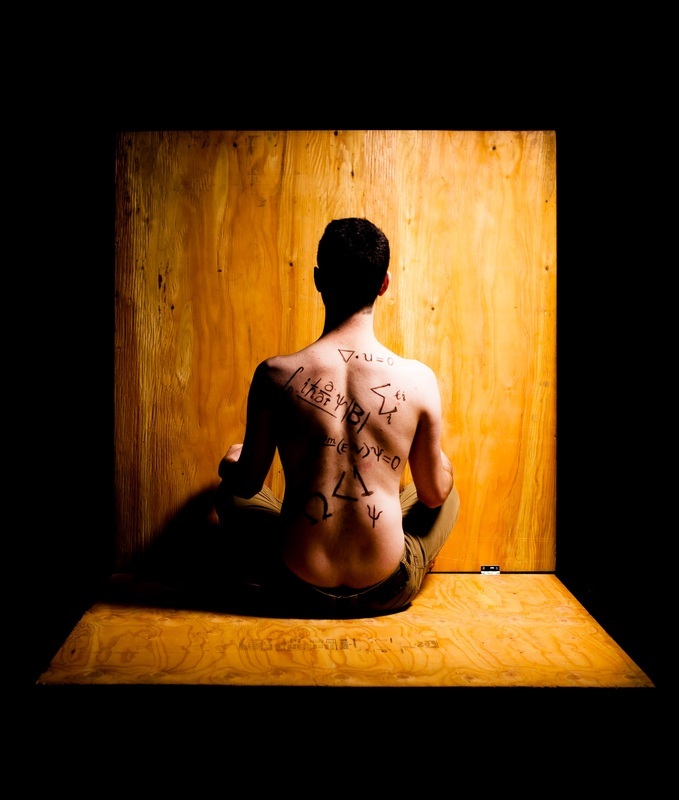 Ω < 1 (Omega is Less Than One) premiered at On The Boards as part of the 2013 NorthWest New Works Festival. 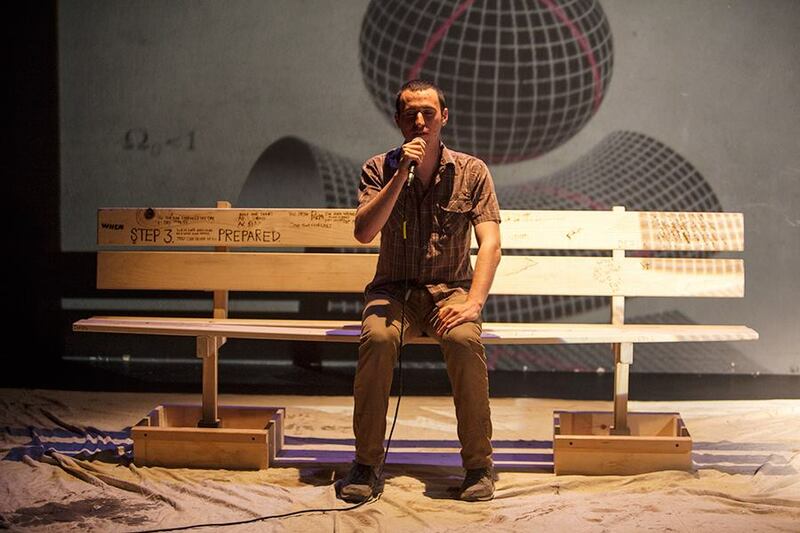 The performance is a dialogue about the end of the universe between longtime friends and collaborators Tim Smith-Stewart and Jeffrey Azevedo juxtaposed with the tightly choreographed construction of a park bench sculpture. Created from conversations and events from their twelve years of friendship, Tim relies on Jeff, a performer, electrical engineer, and science enthusiast, to help him create meaning by asking him to explain the end of the universe. Jeff and Tim move through a poetic and scientific dialogue that utilizes stories from Catholic High School, near death experiences, and living in a black mold filled apartment as they wrestle with the classic existential questions of a meaningless universe experienced by a consciousness that demands meaning, and its inherent despair.